Leveraging customer data to support marketing objectives, increase loyalty and drive an increase in spend – automatically, and in real-time. The UK restaurant scene is thriving. But with market conditions becoming more competitive and with consumers facing real pressure on their incomes, the need to drive a successful digital marketing strategy has never been more important. Wisetiger's restaurant marketing is cost-effective and can be up and running in as little as two weeks. To save time and resources, it's been designed to work alongside your existing website to harness the most powerful commodity you own. Your customer data. Developed by Wisetiger to leverage customer data to drive loyalty, Seehoo™ and Engage™ delivers a platform that harnesses your customer data, evaluates customer behaviour and automates marketing based on that behaviour in real-time. You’re probably already collecting lots of customer data but with Seehoo™ and Engage™ you’ll be able to use this data to drive results. Customer data is aggregated in Seehoo™ which allows you to see who is visiting your restaurants, when they visit and their behaviour. It allows you to create all the segmentation of your customer data that you need to know. Vouchers are then emailed from Engage™ with unique barcodes for each customer, based on loyalty data from your EPOS system. In the example below customer data is used to identify patterns and behaviour. Personalised vouchers are emailed automatically as either a reward or an incentive. Any kind of behaviour modelling can be defined across your entire customer base to drive a range of loyalty benefits to increase spend and word of mouth marketing. Or get in touch and we'll send you more information about how to leverage customer data to increase loyalty and drive an increase in spend. Speak to us on 01252 731330 to arrange a demo. 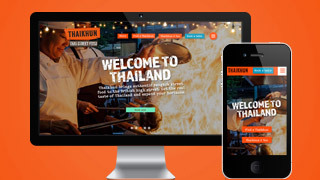 Thai street food chain Thaikuhn brings Bangkok flavours straight to your browser. Thaikuhn brings the best of Thai street food to locations across the UK, stretching from Aberdeen to Southampton. 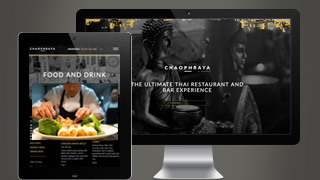 Chaophraya is series of individual Thai restaurants, all with very different stories to tell. The style is modern and contemporary, the buildings and venues all have a story to tell in their own right. Fill in the form and Wisetiger will be in touch.